November 16 the office of the Ukrainian cultural and art association "Spivoche pole" was opened in Antalya (Turkey), the head of the association Olesya Merdzhan reported on her Facebook page. “On November 16, at 16:00, the solemn opening and cutting of the ribbon of our office of the Ukrainian Cultural and Art Association "Spivoche Pole" took place. It was a pleasant surprise that the ceremony was attended by the Chairman of the municipal council of the Konyaaltı district in Antalya Muhittin Böcek and the deputy Mustafa Gürbüz. And also the Chairman of the Union of Crimean Tatars Zeynegul Chaglyyangil Algul,” she wrote. The Head of the association also noted that in honor of the opening and as a sign of respect and support to the Ukrainians, they were given a flag of the Crimean Tatars. 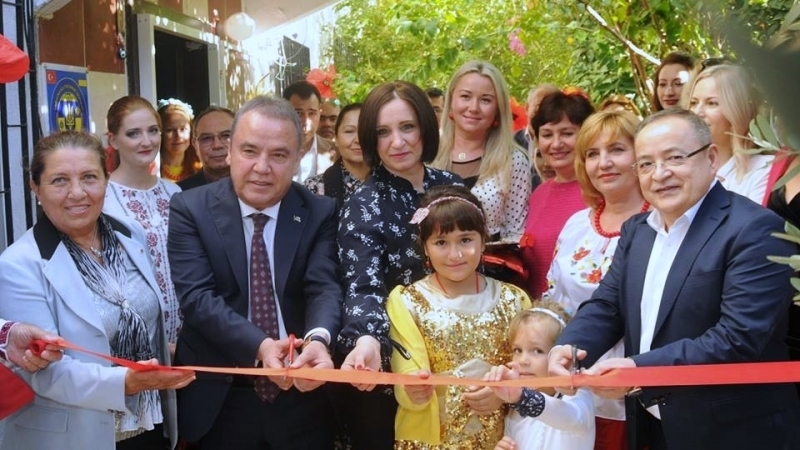 Earlier in the Turkish city of Kırıkkale was opened a photo exhibition "Abroad", dedicated to the Russian annexation of the Crimea and the problem of violation of human rights on the peninsula.